Vintage mainframes in a high-school gym. What? Thread: Vintage mainframes in a high-school gym. What? Thought you’d be interested in knowing about a few videos now on YouTube about 20 tons of mainframes that were exhibited in a high school gym in 1996. The COMMPUTERSEUM - Commercial Computing Museum opened a “computer petting zoo” to the public in Waterloo, Ontario, Canada. 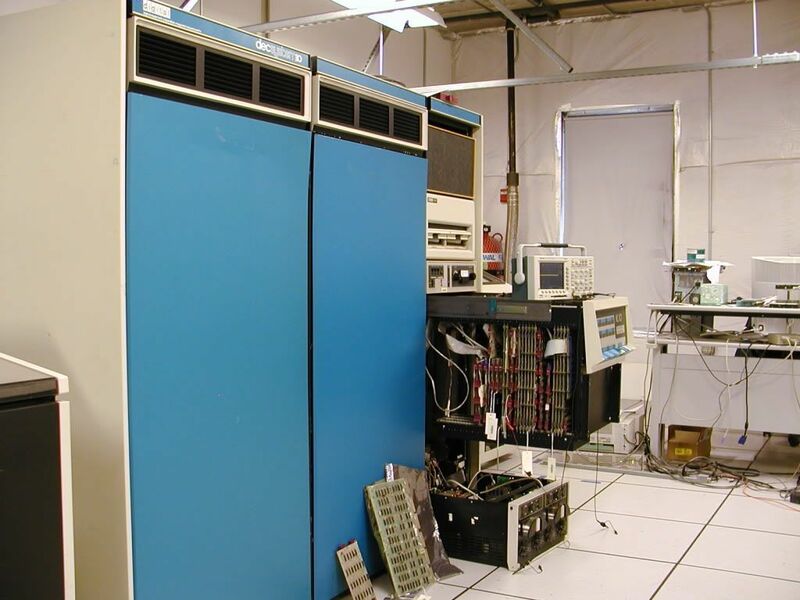 We featured 5 complete systems – IBM 360/22, DECsystem 2060, IBM 4361, UNIsys Model 20, and a hefty Amdahl 5885. There were no barriers. Visitors were encouraged to push buttons, open cabinets, and play with the systems. You will find out what happened to this endeavour and links to the videos in an account of the COMMPUTERSEUM at kevinstumpf.com/Account_of_COMMPUTERSEUM.htm. Thank you. Looks like it was fun for a while at least. Too bad it didn't really take off at the time; I would have appreciated such a museum for sure. So there WAS a large push for vintage computers in South Ontario. I had only heard rumors about it when I was barely even ten but never anything to back that up. I would of loved to see it. For years I always thought Ontario was a perfect place to expect the big iron to accumulate. You had big industry and there was LOTS of money then but no museums existed besides the PDP exhibit at the Ontario Science Center and the odd summer camp tour of the computer room at the University of Guelph. Last edited by NeXT; January 24th, 2013 at 08:21 AM. I know it seems strange, but there are those of us who used real mainframes who'd have called a DEC PDP-10 a "minicomputer". Where was the MG set, HVAC and chilled water supply? Nice to see you here too Ross! I very much enjoy your youtube videos of your minis and hope to see some more.